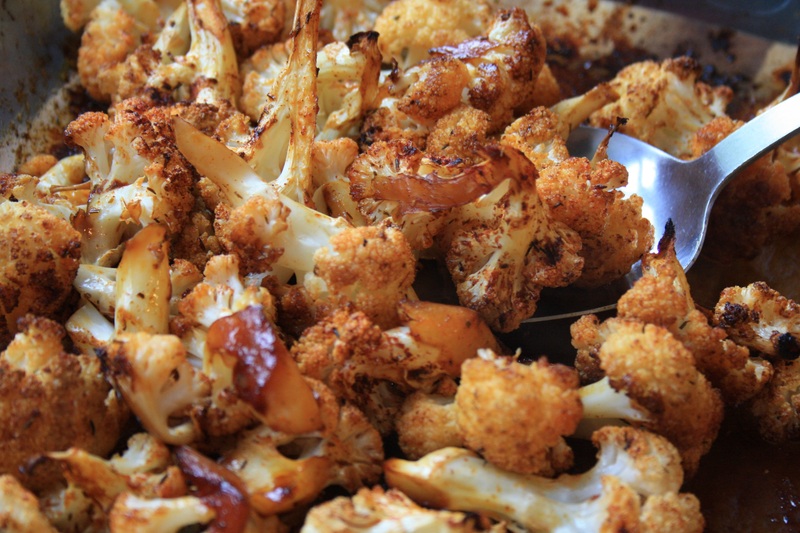 Sweet and spicy roasted cauliflower is an easy side dish that everyone will love. 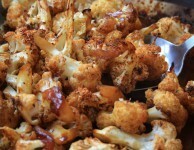 Sweet & Spicy Roasted Cauliflower is delicious and simple. Cauliflower is one of my favourite vegetables but was something that my kids were always ho hum about. That is until I started roasting it. Now they devour cauliflower and at mealtime the four of us can easily eat an entire head of cauliflower when it’s prepared this way. In a large baking dish or pan toss all ingredients until the cauliflower is well coated. Choose a dish or pan that’s large enough to accommodate the cauliflower in a single layer. 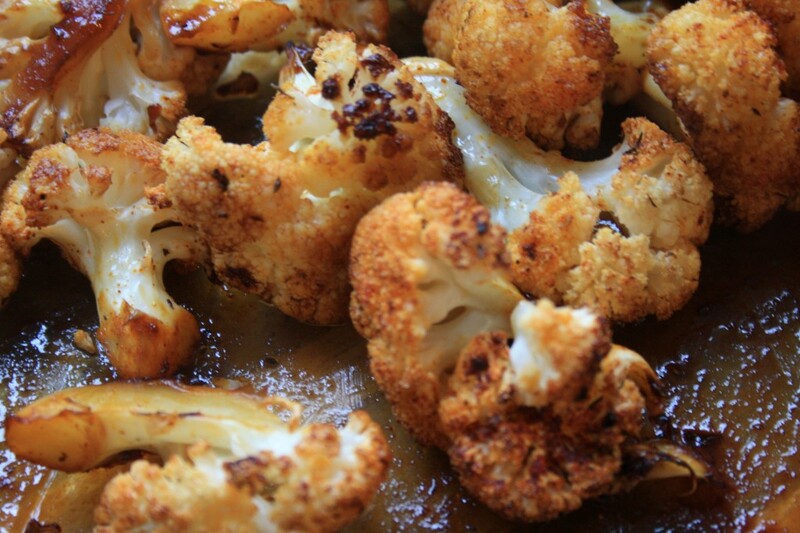 Bake at 375 F for 25-30 minutes, or until cauliflower is golden and tender. Stir often during cooking so the cauliflower cooks evenly. I can’t wait to try this. I hope my four year old will go for it. Thanks! Good luck. 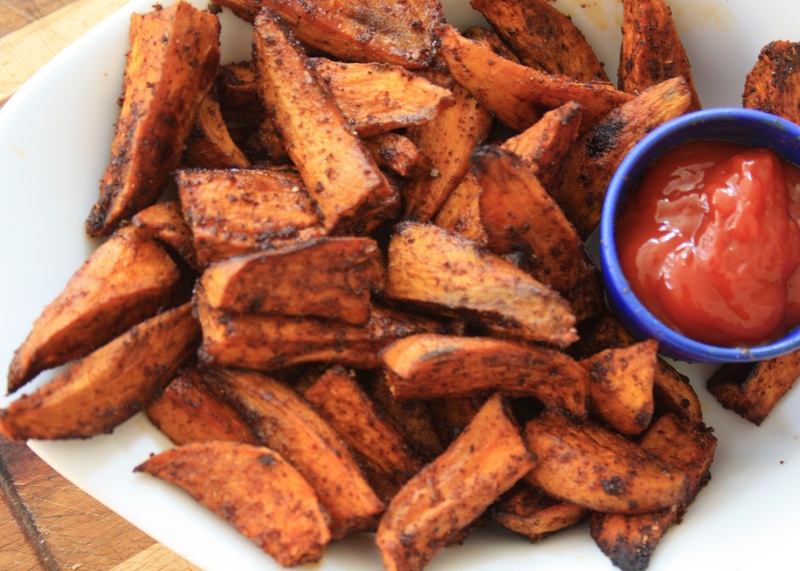 You can mix up the spices too if that helps (try curry powder instead of the chili powder, or a cajun seasoning). Enjoy! I made this for supper this evening. I used a seasoning salt we like with the oil and molasses mixture. I will definitely make this again! I hope that he enjoys it! 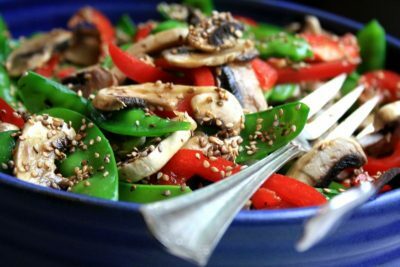 Hello my name is Padget and i’m wondering if you could show us more recipes like this one! I love all your new recipes. Thanks. All ways looking for something new. I also do cauliflower – boil it whole. Mix a paste of mustard any kind and 2 Tbsp. fat free mayo. Roast and it delicious. I will try this one. Sound awesome. Thanks for the great suggestion Cheryl. Sounds delicious. I made this recipe, as well as the Cranberry Sauce with Apples and the Roasted Roots Vegetables in Squash. They were all a hit; there was only a very small piece of cauliflower left for me to try. 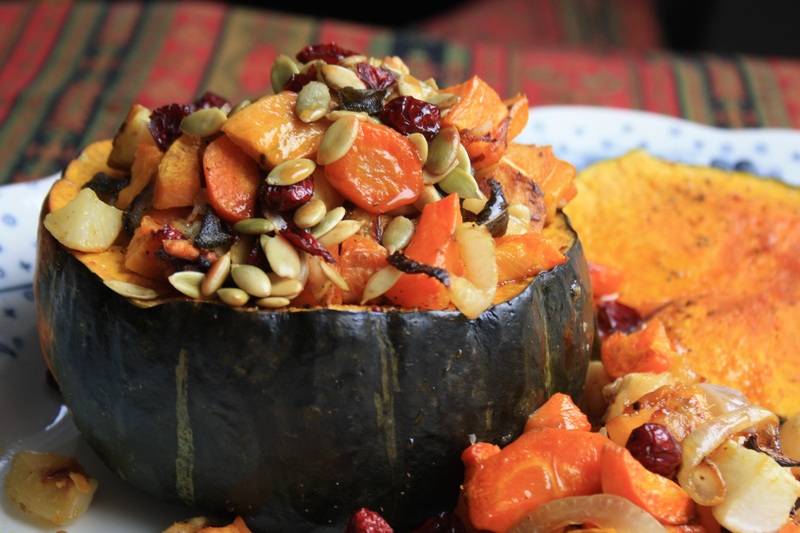 Thanks for compiling a great list of recipes for Thanksgiving. It made the job of finding new things to make much easier.